While some women can wear sky high stilettos, the majority of women can’t wear them as gracefully. The truth is most women complain of foot pain and/or discomfort hours into their high heels. What if you were told you’ve been wearing the wrong heels this whole time? I have something to share with you. So, let’s get deeper into this subject and discover your perfect heel height (PHH). The media is going frenzy over what Emma Supple, a Consultant Podiatrist, told the UK Daily Mail about a woman’s perfect heel height. Supple believes she has discovered the formula for the perfect heel height, and it has to do with the shape of your foot. Yes, you read correctly. It has to do with the shape of your foot. 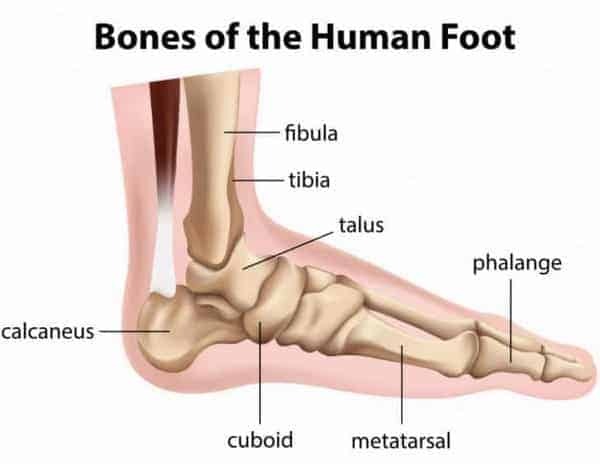 Supple explains the ability to wear high heels has to do with a bone in the foot called the “talus”. Furthermore, Supple mentions your PHH is the height of heel for which your foot is most comfortable based on the anatomy of your foot. 1. Extend your leg and relax your foot to test the flexibility of your talus bone. 2. 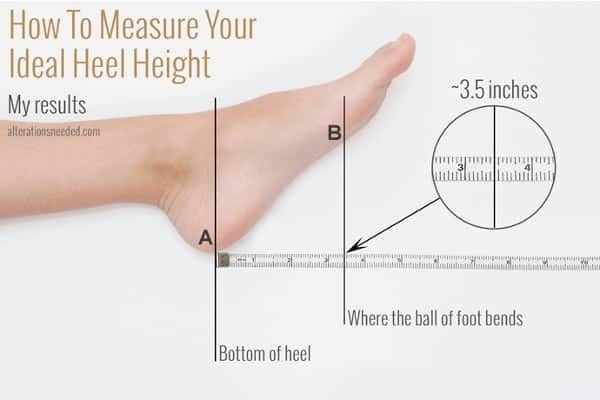 Measure from the bottom of your heel (A) to where the ball of the foot bends (B). 3. The distance between (A) and (B) is your Perfect Heel Height. 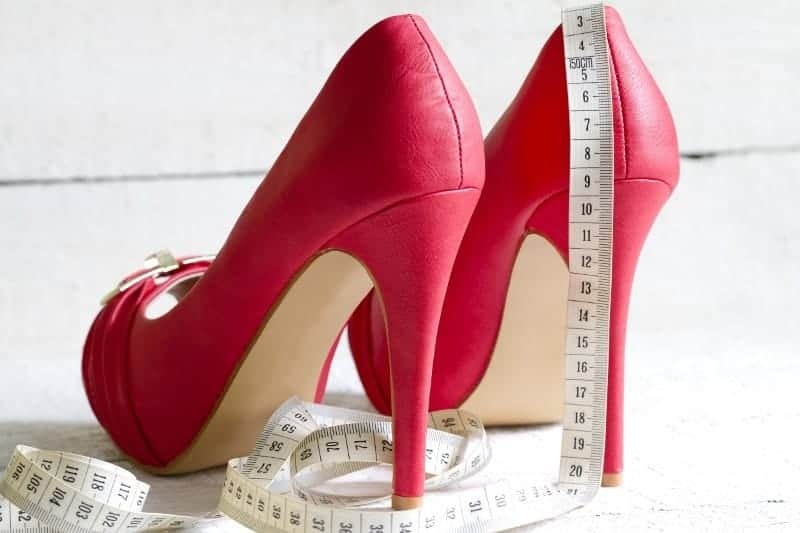 Emma Supple recommends a maximum heel height of 3 inches high, even though some women are comfortable with higher heels. Their measurements suggest 4 or 5 inches is perfect. However, Emma further explains wearing high heels higher than 3 inches tall can affect posture, promote low back pain, and lead to hammer toes. Here are a few simple tips for you, if you try this yourself. Grab a piece of white paper, pen/pencil, and measuring tape. 1. Lay the side of your foot (ankle side down) on a white piece of paper. Make sure your foot is 100% relaxed. 2. Identify the two foot areas you are to measure. If it helps, label the areas with a pen and draw two dots (one dot on each part). 3. Draw two straight lines (as in image), one for every dot. 4. Measure the lines: the distance from the bottom of your heel to where the ball of the foot bends. 5. This is your PHH. I would like to know if this formula works for you or not. Would you please share your PHH results with us and the entire Stiletto Charm readership? In addition, please let us know if you agree or disagree with the results based on the type of heel height you are most comfortable wearing. Thank-you so much, and I look forward to learning more about you and your results! Please chime in on the “Comments Section” below. I have a 6.5 US size foot with a high arch. Using the measuring example in the blog post, I got a PPH of 3.75 inches. My opinion about the formula results and the actual heel height in which I can comfortably walk in is close. When I wear traditional heels, I am most comfortable with a 3 inch heel. When I wear High Performance High Heels, I can go as high as 5 inches with a platform. I guess it depends on which type of heel I’m wearing, in this case. Tell us about your results! What is your PPH? Excited to hear about your measurements!